Ian Short Sails feature on some of the best performing Australian Beneteaus and other popular classes of cruiser racer. We provide a personalised service ensuring your sails match your boats performance potential and sail handling systems. All our sails are designed on computer and finished off professionally by Australian sail makers in our Taren Point loft. We bring a wealth of experience in racing, as well as making and servicing sails for this type of boat to the task of creating long lasting sails with great shape holding and performance characteristics. Cruiser Racers are a demanding market requiring both durability and high performance. Many dedicated sailors in this market expect top performance over several seasons of regular weekend harbour and extended offshore racing and cruising. Today’s cruiser racer has a number of options in sail cloth. We recommend using either Premium Racing Dacron or Pentex Double Taffeta for both mainsails and genoas. For a budget solution, today’s modern Racing Dacrons are ideal. There have been major technological advances in Dacron sail cloth over the last six years. As a result, the latest Dacron cloth has vastly improved shape holding characteristics. Dacron is a good choice for the price conscious sailor wanting both durability, high UV performance and good shape holding in a sail. 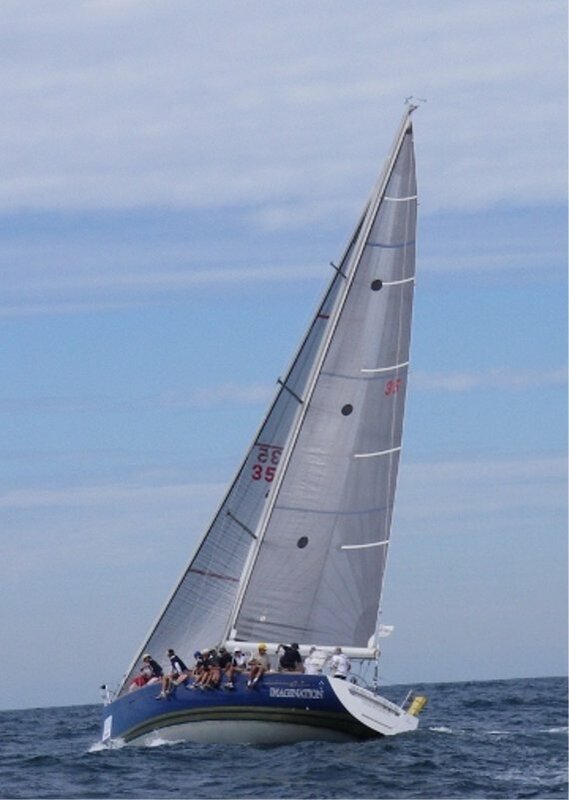 Radial-cut Pentex Double Taffeta sails hold their shape better than cross cut Dacron sails, thereby delivering a slightly better performance dividend over the longer term. In the first stages of campaigning, these sails can offer performance close to that achieved higher cost laminated sails in Carbon and Kevlar flown by the pure racing yachts. Most cruiser racers use Pentex Double Taffeta furling Genoas. The furling system is often used for the Number 2 and 3 genoa in combination with a non furling number 1 for optimisation of sail shape. At the top end of the market, for larger boats Spectra sails present another option for today’s cruiser racer looking for a high modulus material with exceptional shape holding characteristics.